The real impetus for getting new blinds in the nursery was the need for new blinds in the office. One of the cords broke in the crappy Venetian blinds in our office, so we had to replace them. It made sense to do the nursery while we were at it. 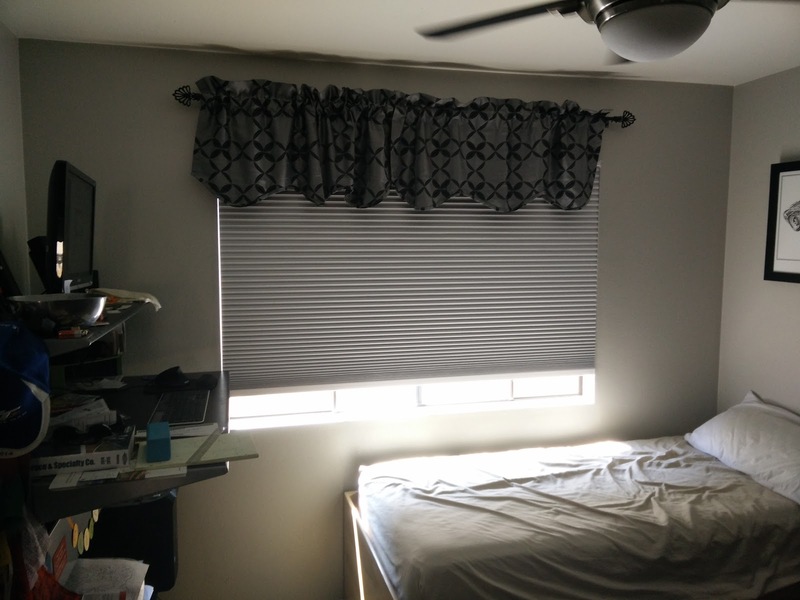 As I said before, these are the off-the-shelf blackout cellular shades from Home Depot, which they cut to length in-store. So far they are great. They make it dark when you want it and they seem to do a great job of blocking the heat, which is important with our single-pane, south-facing windows.